The devil, they say, is in the detail. As a driver, if you are not aware of all the rules you could be at risk of a fine, losing your licence or even injuring yourself or another person. Here are five of the lesser-known rules of the road to illustrate our point. 1. You can be fined and lose three points for not wearing your seatbelt, even if the car is not moving. Resist the temptation to unbuckle your seat belt at the lights and make a grab for something on the back seat. 2. As a driver you will be fined if one of your passengers is not wearing their seatbelt, even if the car is not moving. If you don’t provide your passengers with properly working seatbelts then you will also lose points. 3. Speeding is of course a well-known offense but did you know that if you exceed the speed limit by 45 km per hour you can lose six points and get of whopping fine of $900? You might think that you’re not likely to be going that fast, but it is surprisingly easy to do when coming off a freeway or other fast road. 4. You can lose three points off your licence and get a $300 fine for just HOLDING a phone while driving, even if you are not using it. 'Holding' includes resting the mobile on the driver's lap, or between the chin and shoulder or even passing the phone to a passenger. 5. 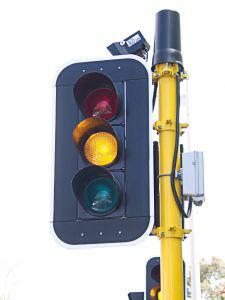 Did you know that an amber traffic signal means stop? It doesn’t mean speed up to get through the intersection before the light turns red. You can only continue to drive through the intersection if lights turn amber when you are so close that stopping may cause a crash.